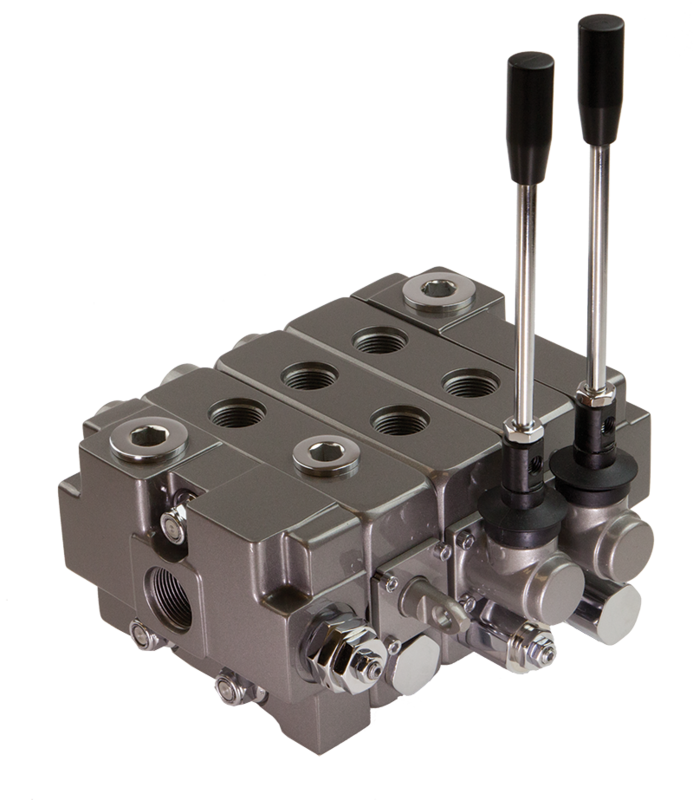 Take control of your hydraulic system with Muncie Power Products’ V130 Series directional control valve. 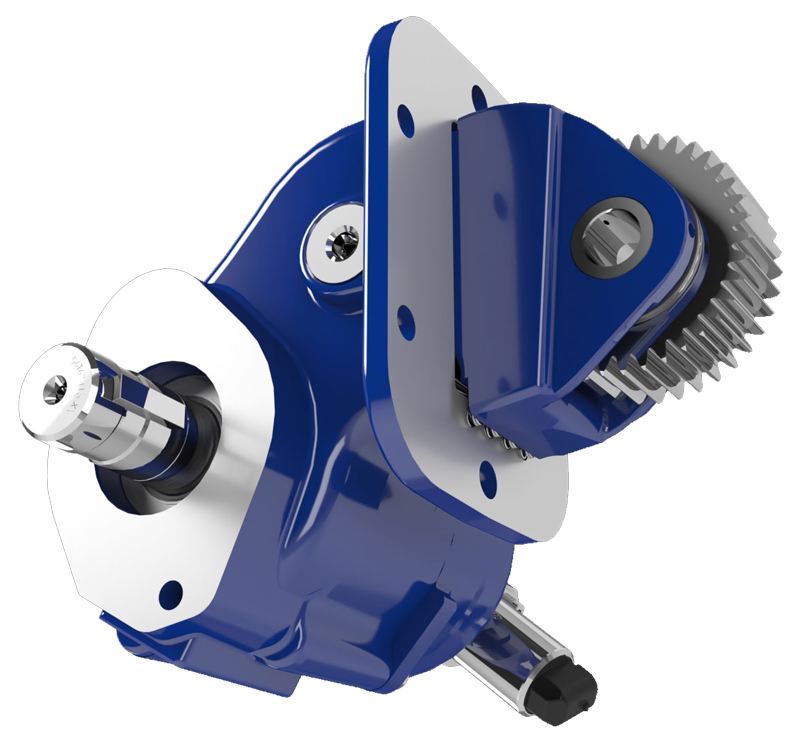 The V130 Series is constructed with high grade iron castings and nickel-plated spools for use in high pressure applications and can be configured with many different spool, control and positioner options. The V130 is designed for mid-range flow capacities, and offers superior performance in a compact package. Muncie Power Products takes pride in supplying the work truck industry with the highest quality products and outstanding service & support. 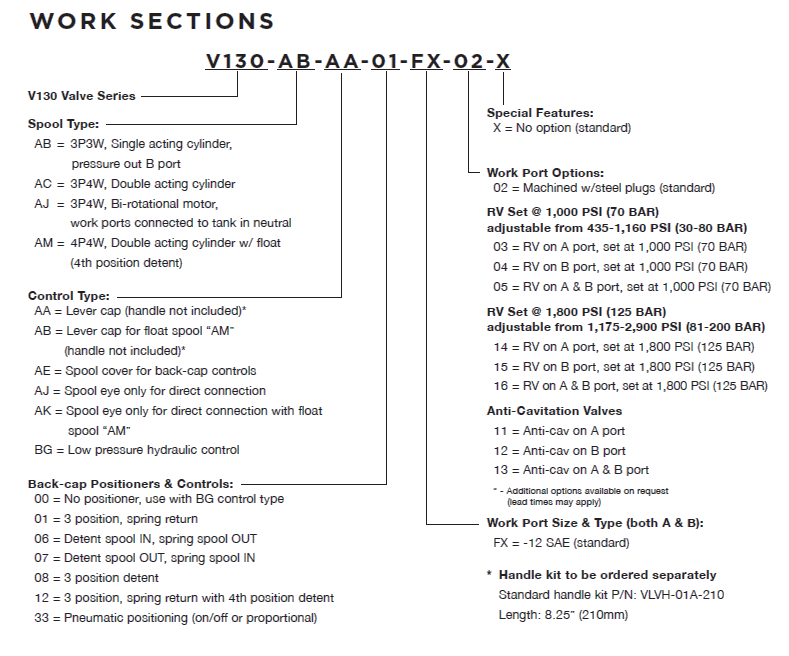 The V130 can be configured with custom options and controls, so if you don’t see what you need here, call today and let us put you in control of your hydraulic systems. 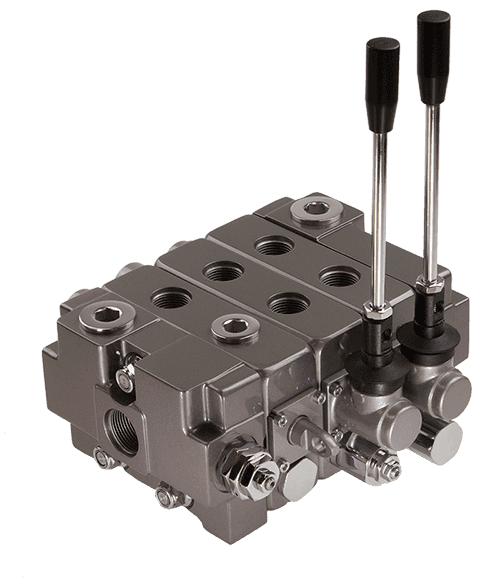 Work port relief valves, anti-cavitation valves, combination R.V.’s/anti-cav valves and pilot operated check valves (lock valves) are available for your individual work section protection needs. Ability to combine valve families with custom mid-sections. Muncie’s V130 Valve Series is warranted against any defect in materail and workmanship which existed at the time of sale by Muncie Power Products, according to the following provision, subject to the requirements that the valve must be used only in accordance with catalog and package instructions. The valve is warranted for a period of one year from date of installation. If during the warranty period the valve fails to operate to Muncie Power Products’ specifications due to a defect in any part in material or workmanship that existed at the time of sale by Muncie Power Products, the defective part will be repaired or replaced, at Muncie Power Products’ election, at no charge, if the defective part is returned to Muncie Power Products with transportation prepaid. WARNING: The warranty shall terminate if any alterations or repairs are made to the valve other than at a Muncie Power Products facility, or if the valve is used on any equipment other than the equipment upon which first installed. The foregoing warranties are in lieu of all other obligations and liabilities, including negligence and all warranties of merchantability and suitability, expressed or implied and state Muncie Power Products’ entire and exclusive liability and buyer’s exclusive remedy for any claim of damages in connection with the sale, repair or replacement of above goods, their design, installation or operation. Muncie Power Products will in no event be liable for any direct, indirect, special, incidental or consequential damages whatsoever, and our liabilty under no circumstances will exceed the contract price for the goods for which liability is claimed.